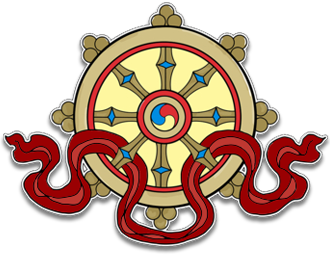 Your support for Samye Dzong Edinburgh is of vital importance for the successful running of the centre and will help fulfil its aspiration to benefit countless beings. 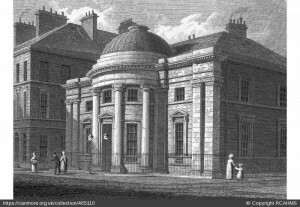 An historical drawing of the Leith Bank, soon to be the new Samye Dzong Edinburgh at 25 Bernard and 25 Maritime Street, Leith. In September 2015, Lama Yeshe Losal Rinpoche announced that a new building has been acquired for our centre. The historic building in Leith will become the new home of Kagyu Samye Dzong Edinburgh. The estimated refurbishment cost of essential, professional work and materials for the new centre (i.e. building, plumbing, etc.) is just £35,000 if we save on other work by doing as much as we can ourselves. All the above is possible with no extra costs for labour, thanks to the dedication of skilled volunteers. All donations of funds, skills and resources are most gratefully received. Together we can build a better world. Visit our donations page if you would like to support this exciting development. If you are able to help, please complete this form with your name, contact email address, skills, any other resources and availability you have in Spring 2016. To volunteer your help, skills and/or resources in running the centre, please complete our online contact form or call Ani Rinchen on 0131 225 8359.